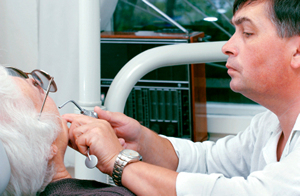 What Can Happen If You Keep Putting Off Dental Care? It can be tempting to put off seeking out dental care, especially if you are living on a budget, or if you are very busy. For some reason, people tend to take their dental health less seriously than they take other types of health. However, putting off dental care can have very serious consequences. If you have a minor cavity in one of your teeth you might think that by brushing and flossing regularly you can prevent it from getting worse. However, this is not how tooth decay works. Once the bacteria in your mouth have eroded a hole into the hard enamel that protects your tooth, this whole allows other bacteria to enter into the tooth. This makes the tooth more susceptible to further decay. As you no doubt know, it is impossible to completely eliminate all bacteria from your oral cavity. This means that, even if you are brushing and flossing regularly, there will still be microscopic organisms swirling around your teeth-including the tooth that has a hole in it. This means that regardless of how well you clean your mouth, the decay in a tooth will continue to spread. Keep in mind that putting off dental care can cause you to suffer greater catastrophes down the road. A tooth that might have been saved may eventually progress to the point where it must be removed. If you have suffered a fracture to a tooth, putting off dental care will only cause you more pain and more damage. You may discover that a small crack grows to a significant break in the tooth. You may even end up losing a tooth that otherwise could have been saved through the use of a crown or other similar treatment.